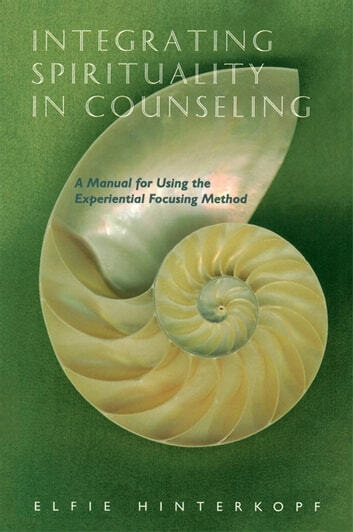 Elfie Hinterkopf describes the Experiential Focusing Method, a model to help clients work through religious and spiritual problems, deepen existing spiritual experiences, and bring about new, life-giving connections to spirituality. Focusing can be used in conjunction with any psychotherapeutic model and is an essential part of any mental health professional or counselor's repertoire. Through Focusing, the client learns to examine subtle, but concrete, bodily feelings that are a vital part of spiritual discovery and growth. Hinterkopf describes the Six Focusing Steps and illustrates the attitudes crucial to the Focusing process (receptive, expectant, patient, and accepting) with case examples, revealing how they help facilitate spiritual development. She also discusses how counselors can use Focusing to explore their own spirituality and outlines special considerations to ensure that sessions suit the individual client's religious tradition or spiritual orientation.